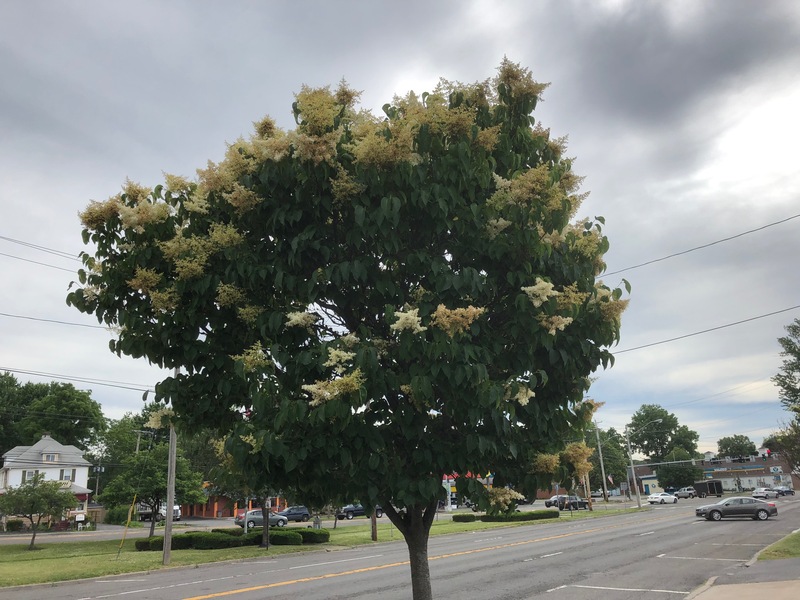 My daily walk to the nearby Dunkin‘ Donuts brought me past a beautiful, flowering tree. In fact, there are two, side by side. Can anybody give me some help as to what type of tree I am passing? i think it might be a horse chestnut tree. we have some of these near my school and they have the most interesting flowery thing going on. plus – donuts. Yes, OK, I will note the horse chestnut, Beth. Giddy-yap! Plus, coffee. I have mo idea. But I trust Beth! 😀 You haven’t steered me wrong yet! I’ll take Beth’s word for it. You’ll know soon enough if you find horse chestnuts on the ground under that tree. Don’t let any fall on you. I was once told by a doctor-friend that you can die if hit in just right spot on the noggin by a falling horse chestnut. Some folks on my Facebook page are telling me that it’s not a horse chestnut tree. I’ll keep looking up and down, CM. Cordelia’s Mom thinks it’s a white lilac, Beth. My first thought on seeing it was that it’s a white lilac. Does it smell like lilacs? I wouldn’t know a lilac smell if I tripped over it, CM. Yikes! There are several of these in a row on a street near me. I will check back to see–as I am curious what they are also. 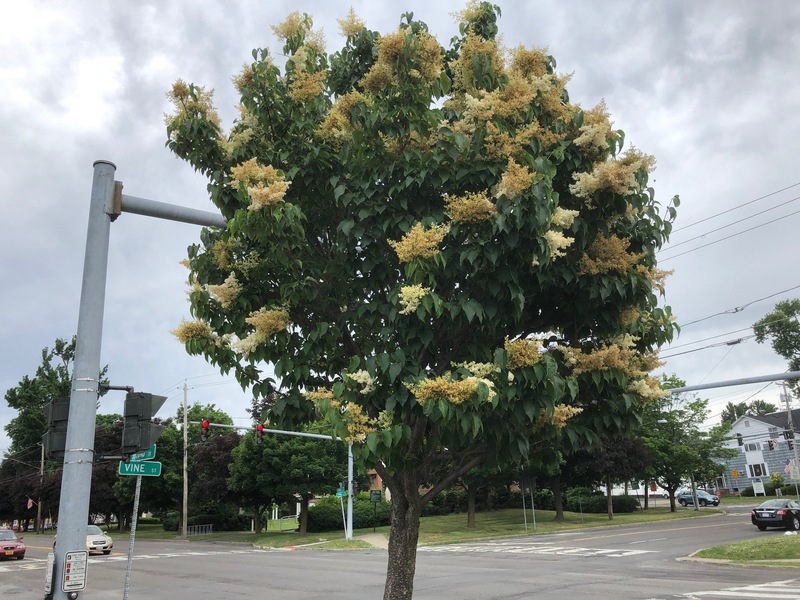 When all the other flowering trees had dropped their flowers long ago, they suddenly bloomed. So far I’ve heard Horse Chestnut then not Horse Chestnut, Rose! I like the fact that there are now multiple votes for white lilac, Joey. Thanks for sharing your expertise. I’ll ask the people at Franklin Square. They have several in white and pink/fuscia (?). Not a lilac, though. The scent is different.